Walmart lists Tumwater and Shelton stores for the experiment, but so far has not advanced redevelopment plans. Big-box retail giant Walmart, long despised by Main Street small businesses for luring their customers to the superstore on the edge of town, is now attempting to bring town-center amenities to its sprawling parking lots in two Washington locations and elsewhere. On a website devoted to its “Town Center” retail concept, Walmart lists four projects underway, including at its stores in Shelton, Mason County, and Tumwater, Thurston County. Others are in Texas and Colorado. Community-development officials in both Washington cities said the company has had preliminary meetings with city planners but has not yet taken steps to obtain permits to redevelop the expansive parking lots surrounding its stores. The Bentonville, Arkansas-based retailer did not respond to a request for comment. That’s a big trend for physical retailers looking to give people a reason to actually get out and go somewhere to shop in an era of convenient online shopping and home delivery. 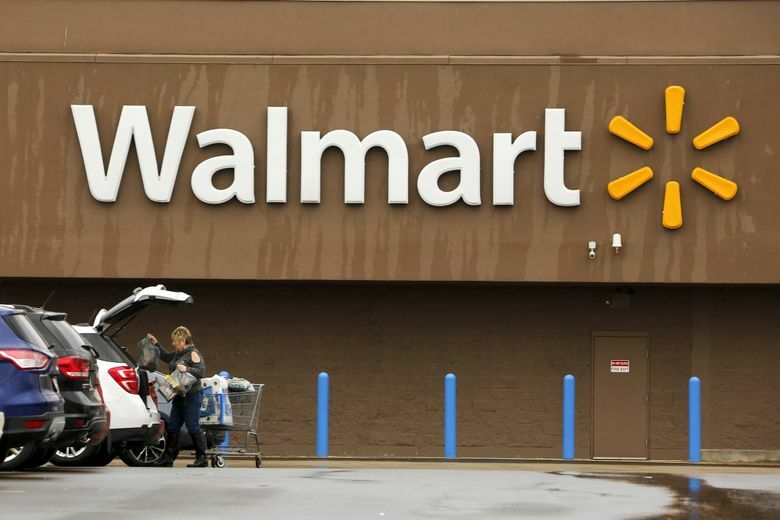 Walmart has significantly ramped up its online shopping options to compete with rival Amazon. Whether Walmart will make good on the Town Center idea in Washington remains to be seen. Its Shelton store is on the edge of the burg, far from the actual town center. Company representatives met with city staff in late February to discuss a concept similar to what’s depicted on its website — a small parklike area next to a drive-through restaurant at the edge of the parking lot — but Walmart has not submitted a formal application, said Shelton community-development director Mark Ziegler. In Tumwater, Walmart discussed with city officials a small retail pad and dog park. The company submitted a feasibility application, but it never progressed beyond a preliminary stage, said Michael Matlock, the community-development director in Tumwater.